Thanks for sharing Stacey! 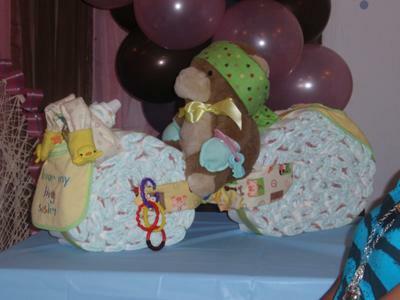 If you have a diaper cake that you'd like to share on our gallery website, send it to us right here! HE RODE INTO TOWN TO HELP GREET YOUR GUESTS, HOP ON AND TAKE A RIDE!